We’re no Lindsay Lohan fans here, but on Monday, the controversial celebrity was spotted looking rather chic while heading into Chiltern House in London. The actress, who currently stars in the stage play, Speed The Plow, went for a layered ensemble consisting of a white dress, a blue shirt, and a butter yellow coat for her night out with friends. It was nothing fancy, but the color play was spot-on and so were the extras she used. Lindsay punctuated the getup with two-tone Charlotte Olympia flats, a bright orange Hermes purse, and a beige scarf. She also looked happy and healthy. We have to admit, we didn’t think she could look as good. But she did. In fact, it was one of the best off-duty looks she’s put out in such a long time. Not to mention, one of the most decent. Lindsay’s ensemble is also a great outfit idea for those of you who want a fresh way to style your boring beige or light brown neck warmer. You don’t have to grab similar pieces. Simply take note of the color combination — blue, yellow, beige, white, and a dash of orange — then cook up your own mix. 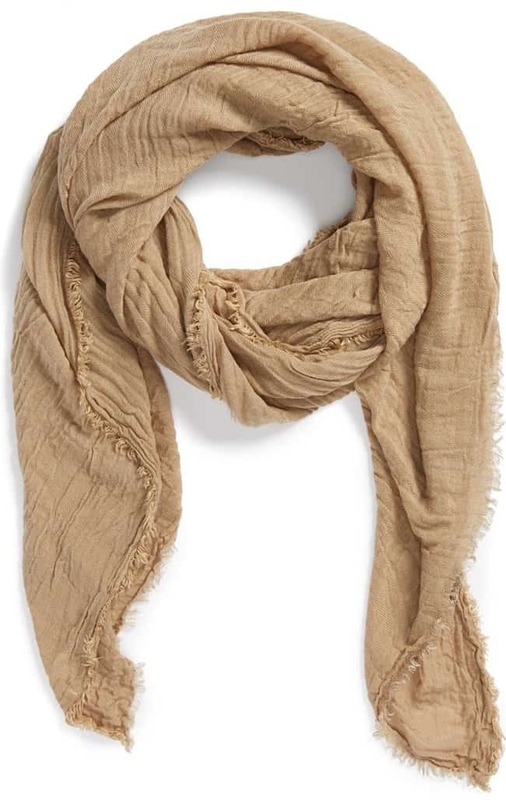 Here’s our own interpretation of Li-Lo’s outfit using a beige lightweight scarf from Collection XIIX. 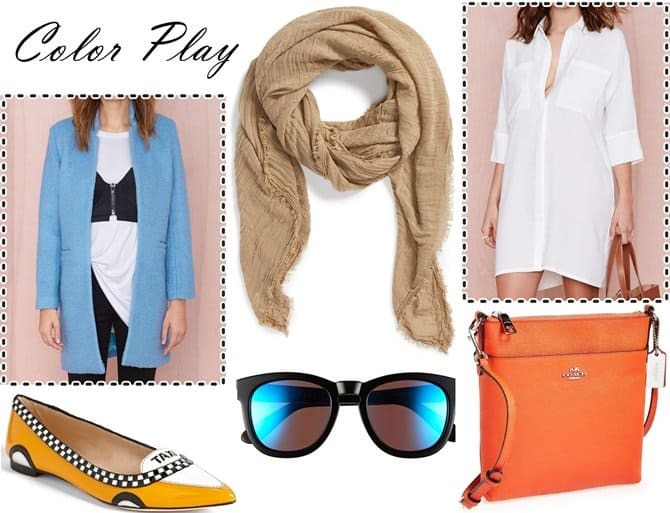 We kept the color play going with the jacket, the purse, and the flats. Do tell, will you wear this ensemble?